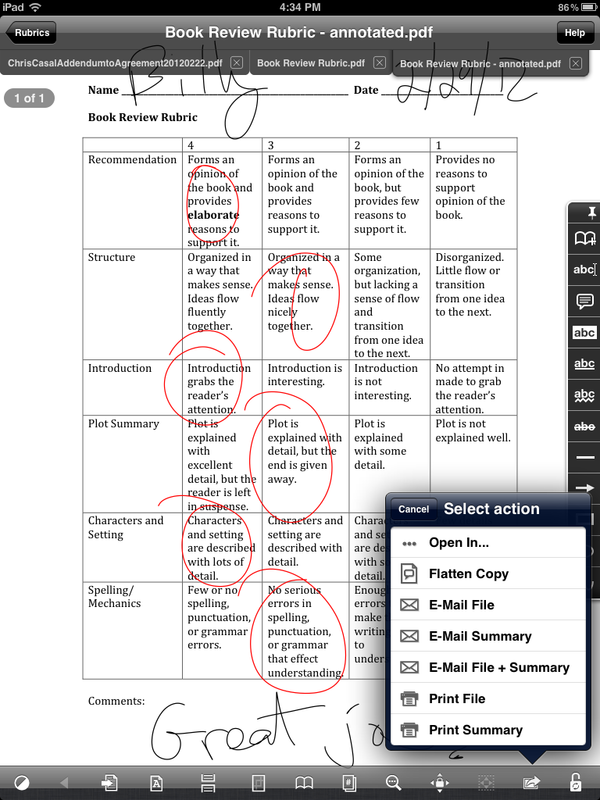 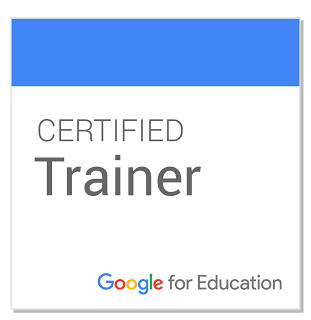 Takeaway: Using the iPad & GoodReader can easily digitize a teacher's assessment process as well as give parents quick & easy access to the results. 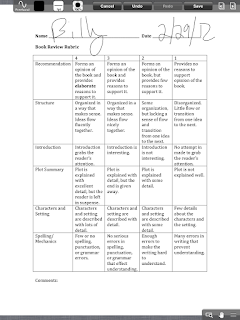 As teachers we are always creating rubrics. 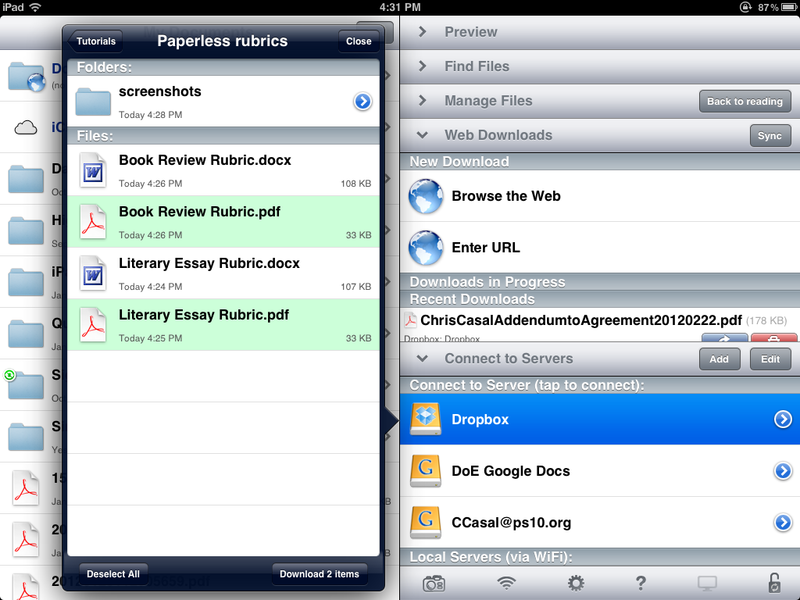 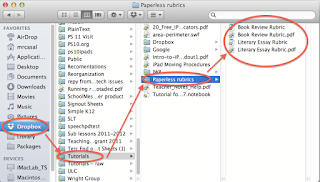 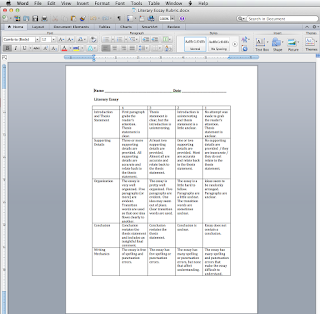 Rubrics for assignments, rubrics for projects, rubrics for units. With upwards of 30 students in a class keeping the weight of the rubric paper to a minimum is key. 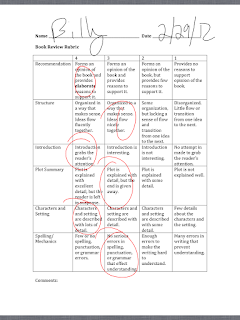 In addition, how do you ensure the parents are seeing the results and staying informed & connected to their child's learning? 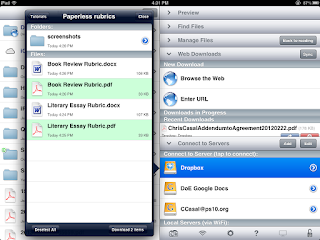 Once you are finished with an assessment you can keep the files in GoodReader, email them to parents, or upload them back to Dropbox for archival purposes (uploading to also allows for printing the annotated files and sharing them with colleagues via a shared folder). 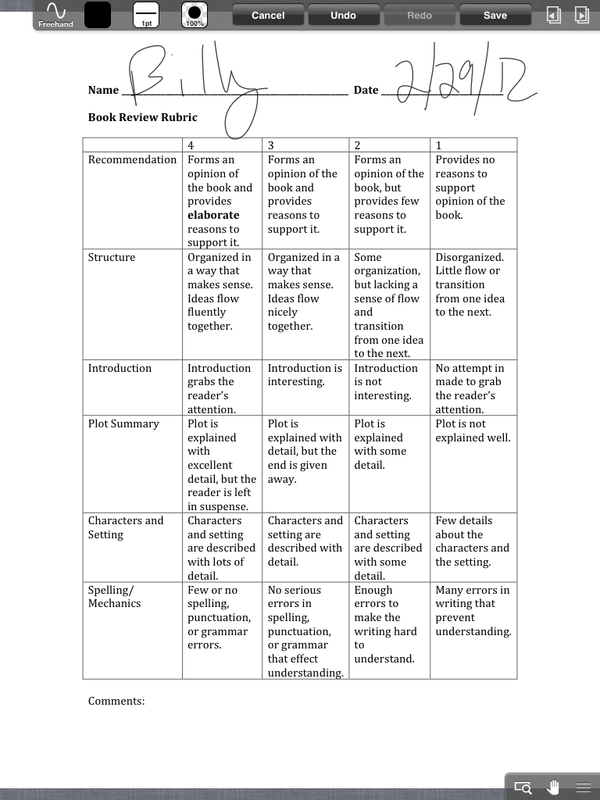 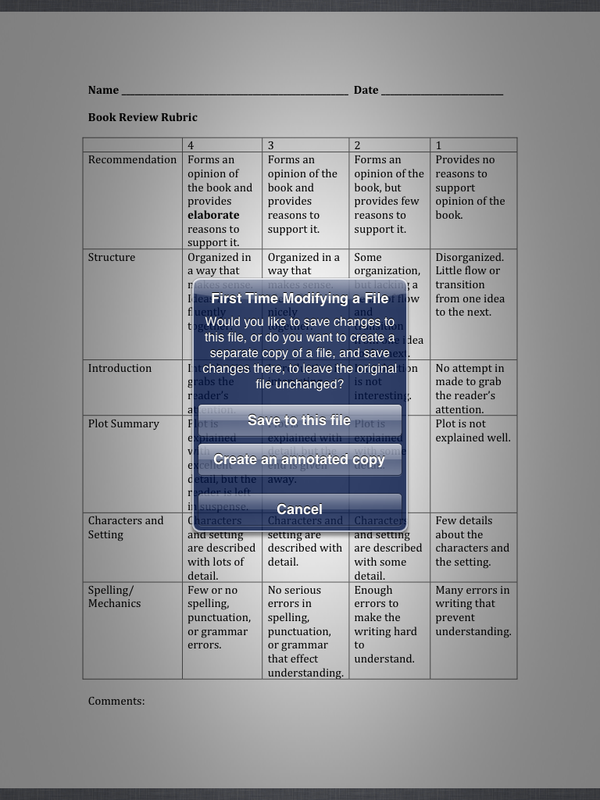 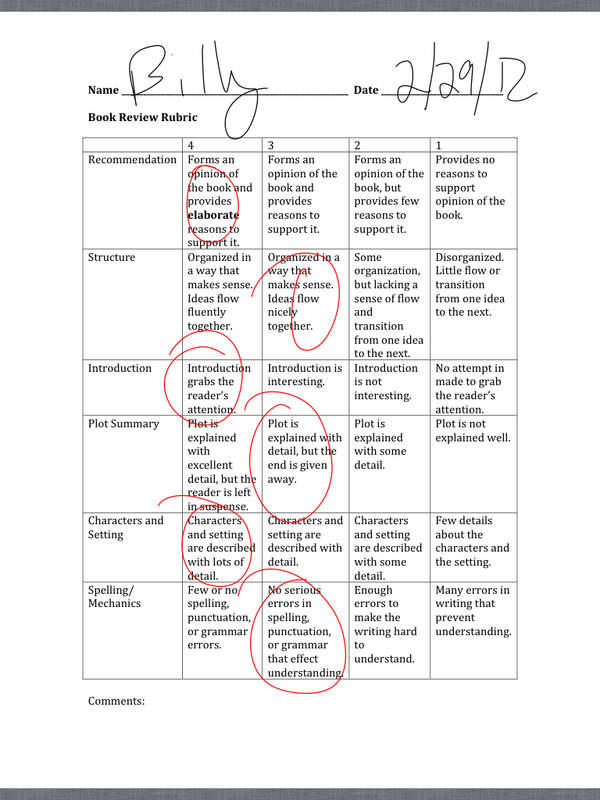 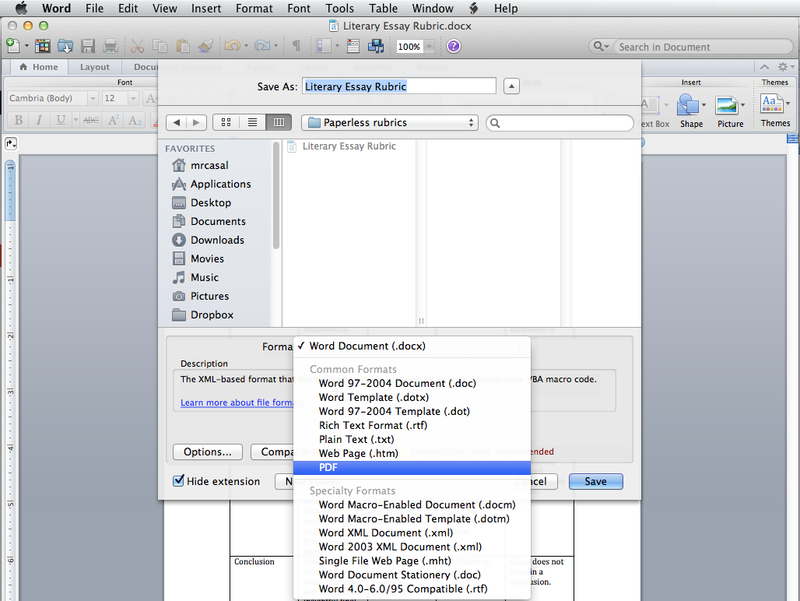 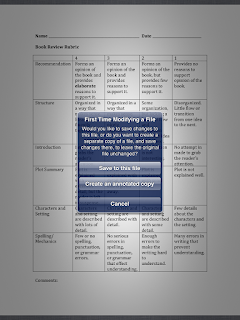 The majority of teachers create rubrics in a word processing program and them print them out for use. 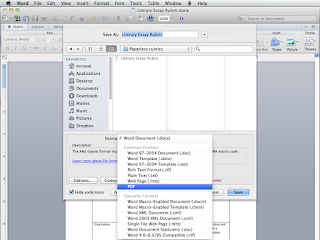 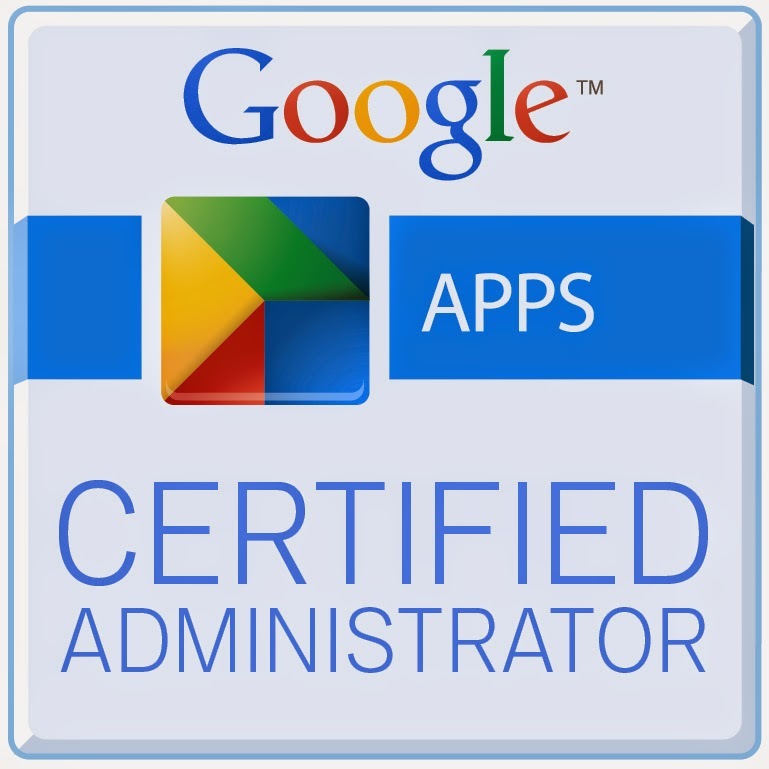 As long as you are creating them digitally why not complete & file them digitally too? Yes, you will still need to print out a copy for the student to use during the project and assessment period (unless of course you are lucky enough to be in a 1:1 tablet or laptop environment, and if you are share the assessment digitally and eliminate paper altogether...). 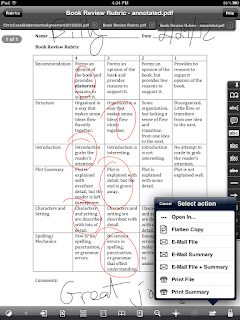 Minimizing paper use with digital assessments & portfolios is an easy way to save precious class floor space (minimize file cabinets) and funds, as well as keep all stake-holders (students, parents, colleagues & administration) more instantly informed of a student's progress. 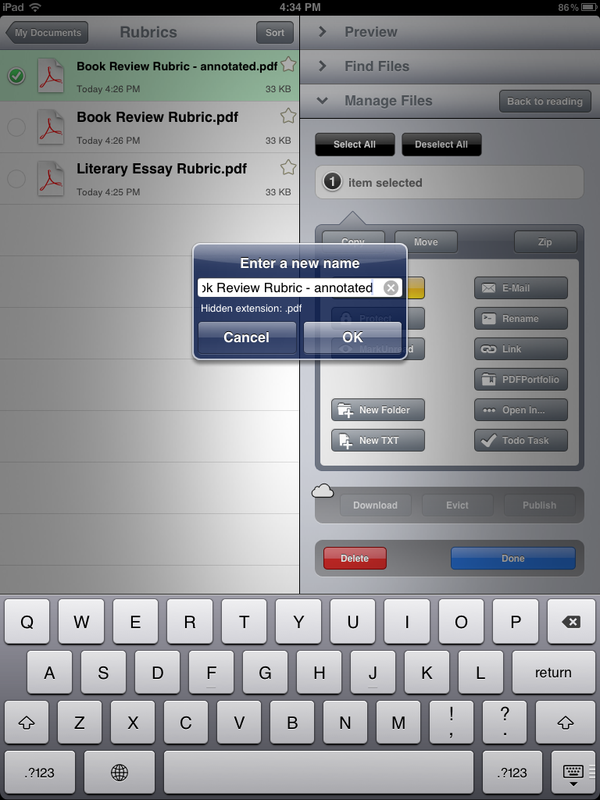 SketchBook Pro for iPad - on sale!